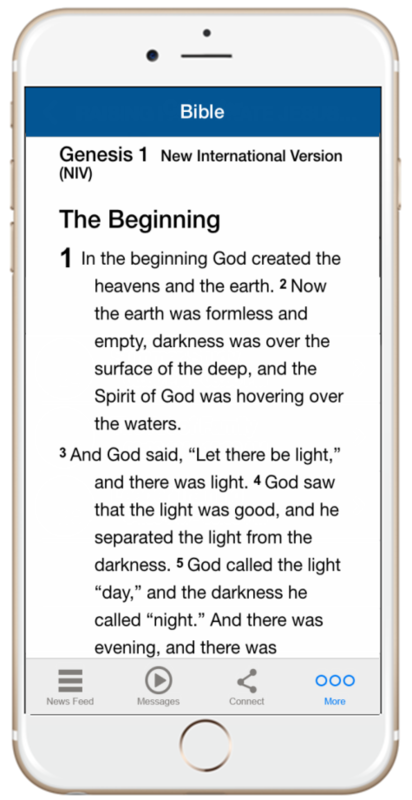 Get your church up and running on your own professional Android and iPhone mobile app quickly (and affordably). 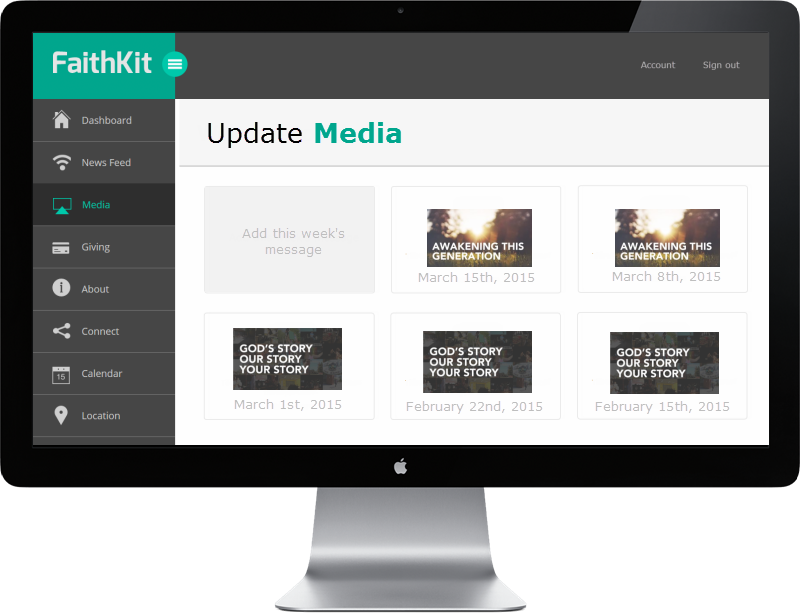 Update and push your content to your members' mobile phones with the easy-to-use FaithKit Dashboard. 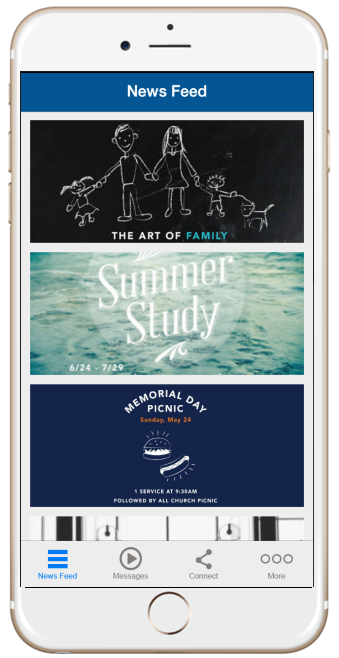 Keep your community engaged with push notifications, blog posts, reminders for upcoming events, follow-ups to messages, prayer requests, photos, videos and more. 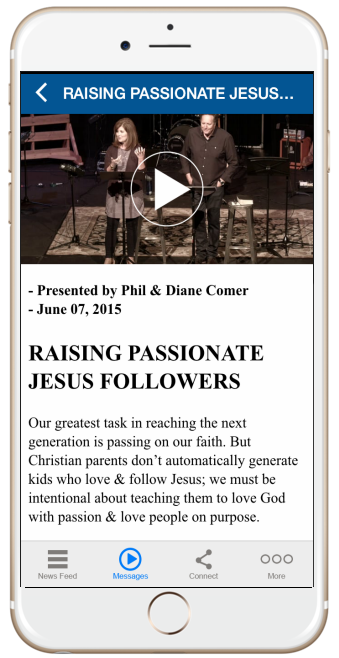 Easily share each week’s message through video (live stream or recorded), downloadable audio and notes. Send your message around the world! Simplify tithing. Let your members use their phone to give one-time gifts or schedule recurring payments. We can either plug in to your existing payment solution or use our unique ACH network and eliminate the % fees for credit card companies. Make it easy for your members to connect with small groups, opportunities to volunteer, and most importantly; with each other. Let your members and visitors know what you're all about, from your teachings, to your service times, to your location and directions. 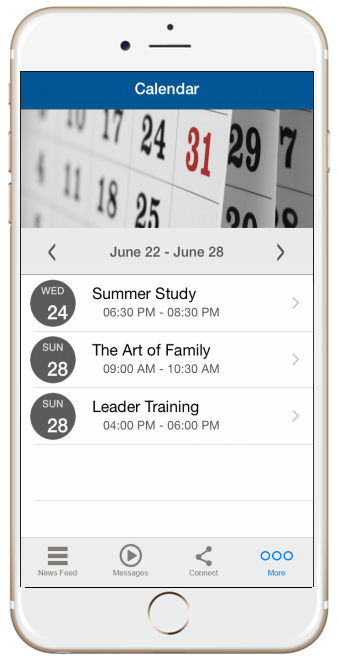 Put a bible in everyone's pocket and keep them up-to-date with a calendar of events and weekly bulletin. easy setup. low monthly price. 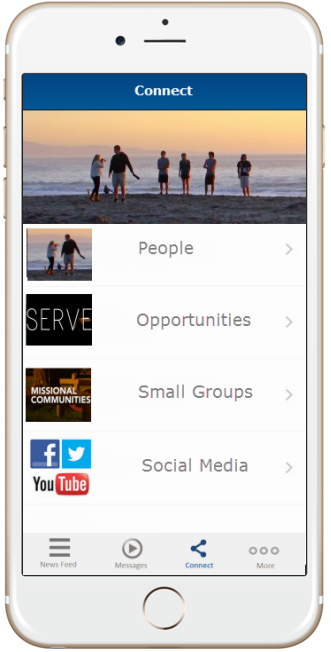 The mobile app is free for your church members to download from the iTunes or Google Play store. Easily send them notifications, keep them updated with your messages and help them get connected. The app can also be customized to your exact specifications. The FaithKit Dashboard makes it easy to manage your content. Update your news feed with optional push notifications to your members, upload current and past messages and notes, and add your calendar of events right within your members' mobile phones. 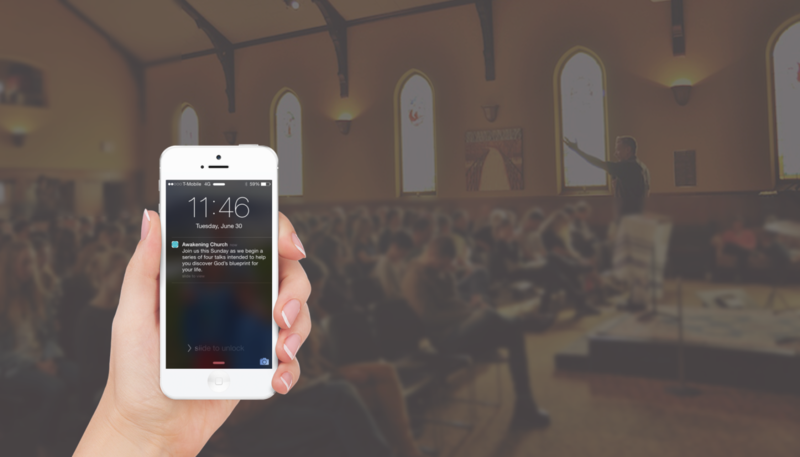 FaithKit lets us keep our community updated without worrying about building and maintaining our own mobile app. 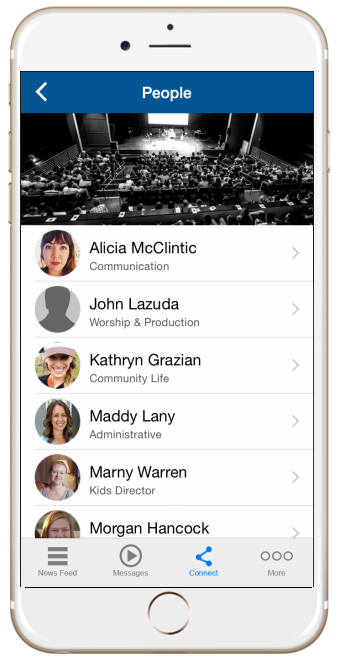 With Faithkit, we have our own branded app on iPhone and Android that we use to push updates to our members. 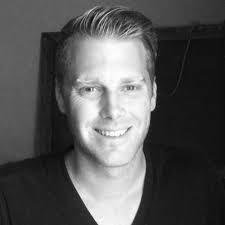 FaithKit is owned and operated by GoingApps, LLC.